UK consumers are turning to mobile as their preferred means of shopping online, new research has found. 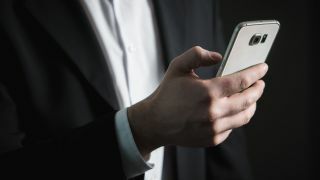 The country has seen a growth rate of 16 per cent annually when it comes to m-commerce, according to new data from Worldpay, which says that the market is set to be worth £88.1bn by 2022. In its annual Global Payments Report, the firm found that the total e-commerce market in the UK is set to grow by 40 per cent between now and 2022 to reach £240bn. E-wallets are the preferred payment method when it comes to purchasing via mobile and they currently make up 23.2 per cent of online payments in the UK. Increased smartphone ownership, faster mobile networks and the fact that consumers are looking for a more seamless payment experience are all factors that will lead to rapid growth of e-wallets. Worldpay's report examined online shopping in 36 countries across five continents to reveal that m-commerce currently accounts for 38 per cent of the £990bn in global e-commerce sales and m-commerce is set to grow py 19 per cent over the next five years. The largest markets in the world for m-commerce are China at £0.57tn, the US at £0.16tn, the UK at £48.8bn, Japan at £26.4bn and South Korea at £22bn. In order for businesses to stay relevant in the world of m-commerce, Worldpay recommends developing a branded app, making it easier to use biometrics to speed up the customer journey and identifying which payment methods are the most popular in the region or territory where they operate.